"Today I will learn something new. I will receive the gift of knowledge, and have fun laughing in the process." This morning I learned that little Lou cannot avoid the camera when she's eating. It seems that eating is more important than running away. :) This was not the intent of my Today statement on this day, but this is new knowledge and we did have a good laugh. Can you tell? Happy Tuesday! 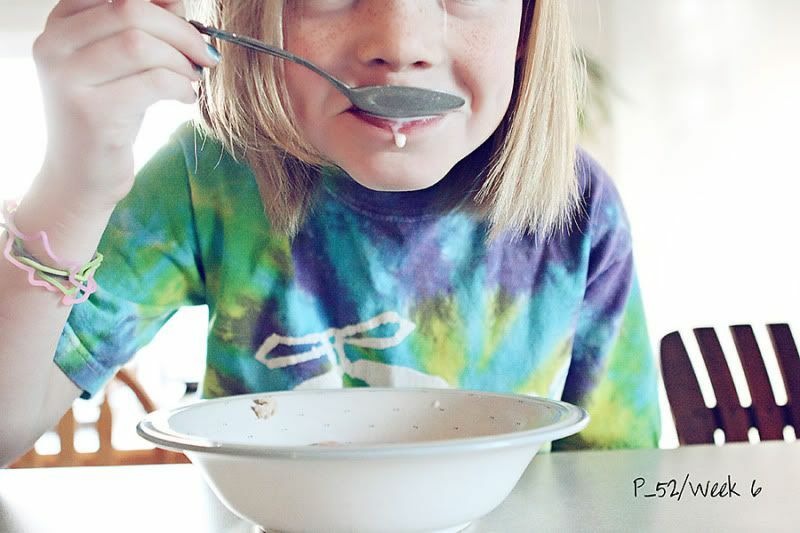 I love cereal so much that I want to replicate this as a selfie. Love it. Love that!!! Love the shirt too!!! I absolutely love this! The composition is perfect and I love the color as well. Um, dribble of milk on the bottom lip?